When I tell people I am writing 53 posts with interesting facts about the number 53, what immediately comes to mind is that 53 is a prime number (well that and that it’s a strange crazy experiment!). So obviously I need to do a few posts about prime numbers. And since yesterday was Pi Day, I wondered if maybe I could find something about the prime number 53 and Pi. And I did! Unfortunately in order to blog about it, my math isn’t strong enough even with some help from Google and various websites. I have to actually talk to some mathematicians. Being a college teacher, this shouldn’t be too hard–just not tonight. 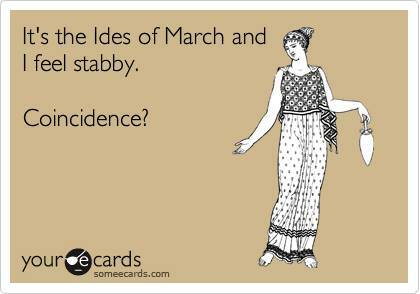 As today is March 15 aka the the Ides of March, I figured I’d pursue that angle: “The Ides of March (Latin: Idus Martii or Idus Martiae) is a day on the Roman calendar that corresponds to 15 March. It was marked by several religious observances.” What connection might the Ides of March have to the number 53, you ask? Julius Caesar defeated a revolt led by Ambiorix near Sabis (Northern Gaul). At Cenabum (modern Orléans) the Carnutes massacred Roman merchants. Vercingetorix, an Arverni chieftain, leads a revolt against Caesar in Central Gaul. Caesar enrolls non-citizen soldiers in Gallia Transalpina, genesis of Legio V Alaudae. He increases his army to ten legions. Wikipedia says: Julius Caesar is a 1953 Metro-Goldwyn-Mayer film adaptation of the play by Shakespeare, directed by Joseph L. Mankiewicz, who also wrote the uncredited screenplay, and produced by John Houseman. The original music score is by Miklós Rózsa. The film stars Marlon Brando as Mark Antony, James Mason as Brutus, John Gielgud as Cassius, Louis Calhern as Julius Caesar, Edmond O’Brien as Casca, Greer Garson as Calpurnia, and Deborah Kerr as Portia. 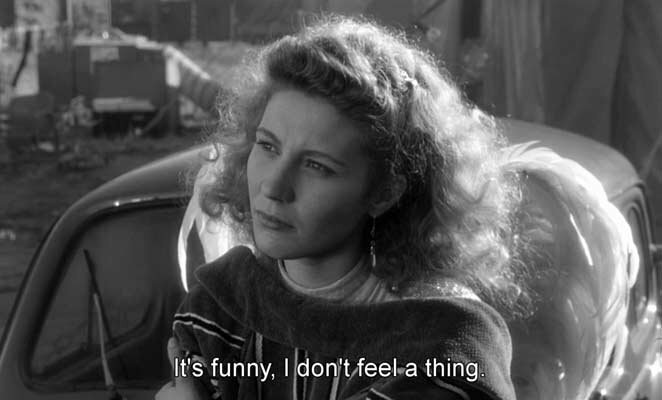 The film is highly regarded: Wikipedia says it won the Academy Award for Best Art Direction (to Cedric Gibbons, Edward Carfagno, Edwin B. Willis, Hugh Hunt), and was nominated for Best Picture (the award went to From Here to Eternity), the Best Actor in a Leading Role (Marlon Brando), Best Cinematography, Black-and-White, and Best Music, Scoring of a Dramatic or Comedy Picture. Brando’s nomination was the third time in three consecutive years that he was nominated for the Best Actor Academy Award. Yes, today is a very good day to have a Caesar salad. Read more facts about the number 53, including this one about a Chinese philosopher who wrote Fu poetry and was born in the year 53 BC. 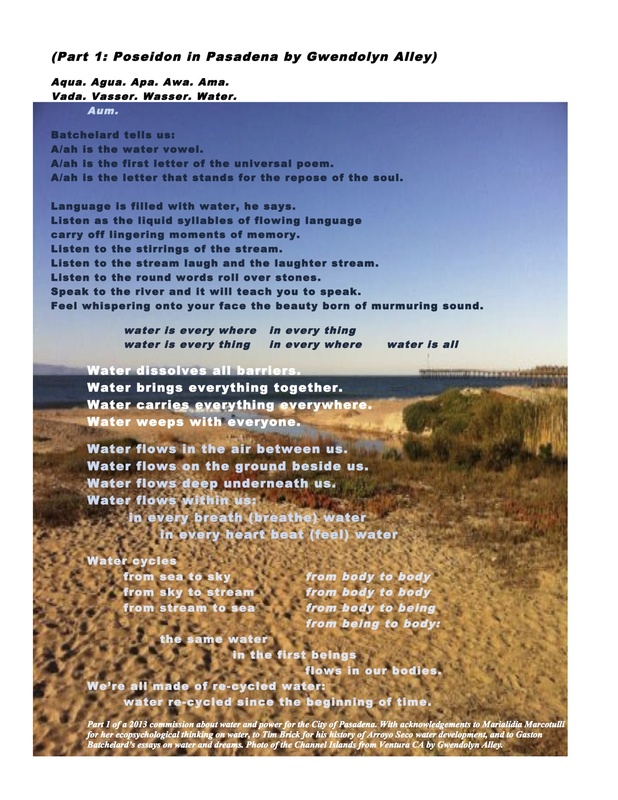 This experiment, it turns out, is a modern example of a Fu poem. ← It’s March 14 or 3.14.15 so Happy Pi Day! And Happy Birthday, Albert Einstein!